It's a cobalt oxide-aluminum oxide. Very costly and extraordinary stable pigment of pure blue colour discovered by Thenard in 1802. It is now the most important of the cobalt pigments. 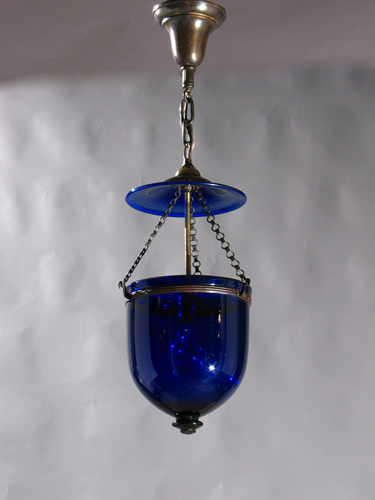 Although smalt, a pigment made from cobalt blue glass has been known at least since the Middle Ages, the cobalt blue established in the nineteenth century was a greatly improved one. * Cobalt blue in impure form had long been used in Chinese porcelain, but was independently discovered as a pure alumina-based pigment by Louis Jacques Thenard, in 1802. Commercial production began in France in 1807. The first recorded use of cobalt blue as a color name in English was in 1777. The leading world manufacturer of cobalt blue in the 19th century was Blassfarvevaerket ("blue-color works," in Dano-Norwegian) in Norway, led by Benjamin Wegner. Germany was also famous for production- especially the Blaufarbenwerke ("blue-color works," in German) of Schneeburg.